Yum! 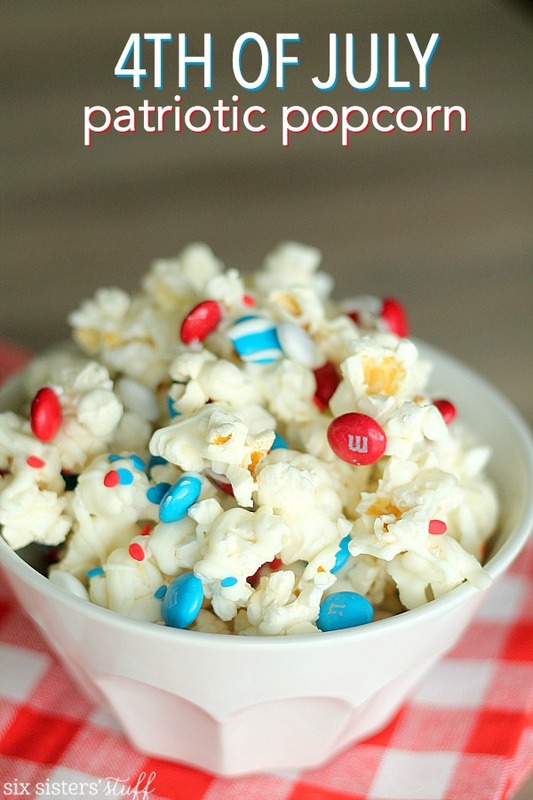 We love popcorn around here and we just might have to give this fun popcorn recipe a try! Get the details over at Six Sisters’ Stuff. These berries look amazing and I bet they taste even better. What a great treat to bring to a party! Get Tracey’s recipe on her site, The Kitchen is My Playground. 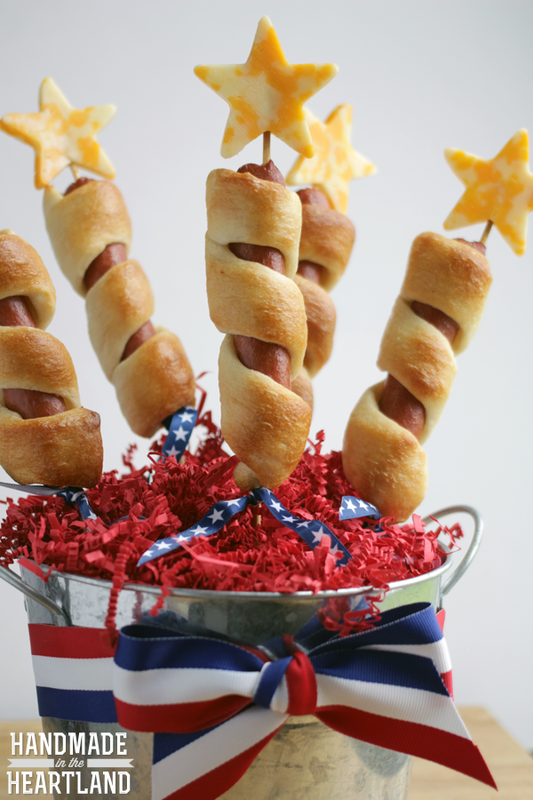 I’m kind of obsessed with these Firecracker Dogs. They are so stinking cute and I know the kids would get such a kick out of them! Head over to Angela’s blog, Handmade in the Heartland, to find out how to make these! Dress up your picnic buffet tables with some fun, free printables over at The 36th Avenue. I just love how popping a print into a simple frame can totally make your party more fun and festive. Such an easy trick! White wine? Check! Prosecco? Check! Delicious, chopped fruit? Check! This sangria meets all the requirements for a perfect holiday cocktail! Get the recipe over at Life’s Ambrosia! 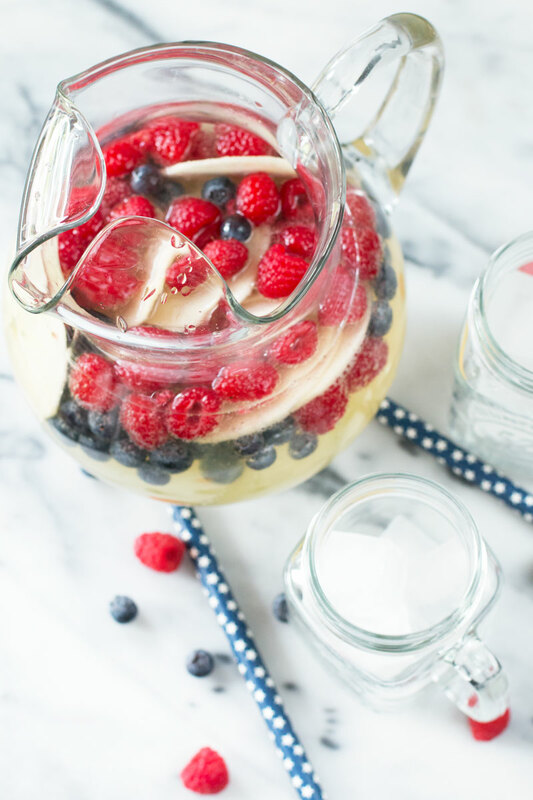 So I hope you are inspired to get in the kitchen and whip up some red, white and blue stuff for the weekend. Wishing you all a safe and happy Independance Day! Make sure you leave a comment below and share your 4th of July plans and traditions…I’d love to hear them! And come back and checkIN next week to checkOUT some more great finds! And don’t forget…if you try out any of these ideas, please snap a pic and share with me on Instagram with #checkincheckoutfriday! Live for the Partiotic Popcorn ???? Those strawberries look soo cool! Okay, I am super ready to psyched for the Fourth now. Beautiful photos! All of these ideas are absolutely adorable! I love how you actually used sprinkles and M&Ms both in the popcorn–the difference in sizes makes the photos so appealing! Growing up, my mom found an adorable recipe for little Christmas sleds that this reminded me of. She used graham crackers for the base, frosting to affix everything, licorice ropes for the rope, gummy lifesavers for the seats, etc. 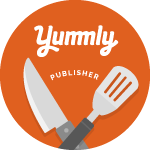 They were so much fun and created great memories, such as your recipes here will do for your family!